FILE PHOTO: Federal Reserve Board Governor Jerome Powell discusses financial regulation in Washington, U.S., October 3, 2017. LONDON - Jerome Powell likely will be the next Federal Reserve chairman, according to a slim majority of economists in a Reuters poll - but most of them said current Fed Chair Janet Yellen would be the best option. Just over half the 40 economists who participated in the survey, taken in the past few days, tipped Fed Governor Powell to be appointed chair by U.S. President Donald Trump when Yellen’s current four-year term ends on Feb 1, 2018. 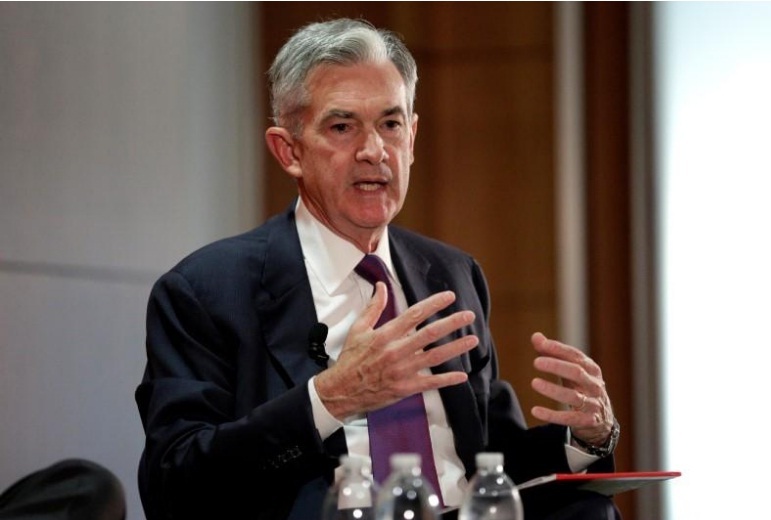 Powell, a lawyer and former investment banker, has served as a member of the Fed’s Board of Governors since May 2012. “The most continuity between Fed chairs would be Yellen to Powell. Given where we are in the tightening cycle some consistency would be welcomed by financial markets,” said Ryan Sweet at Moody’s Analytics. The next most likely choice was Kevin Warsh, who served as a Fed governor during the financial crisis, with 13 forecasts. Yellen received only four. Also on the list of options, alongside being able to suggest someone else, was Trump’s top economic adviser Gary Cohn, the former chief executive of U.S. Bancorp Richard Davis, Columbia Business School’s Glenn Hubbard, former head of BB&T John Allison and Stanford University professor John Taylor. They were all chosen by either one or no economist at all. When asked who would be the best choice, around two-thirds said Trump should allow Yellen to remain in place. Powell was in second place with seven of 37 votes. There is little daylight between his and Yellen’s thinking and none of the economists polled said Powell would implement the most radical change in policy. Instead they said Taylor would make the biggest change. Taylor is the author of an interest-rate forecasting model named after him in which rates are tied to inflation and growth. In line with this rule, he has long argued the Fed has kept rates too low for too long because of the risk of unwanted inflationary pressures. Expectations interest rates would go higher and at a faster clip under his leadership got Warsh the second most votes. “Warsh and Taylor might be hiking a bit more aggressively in the current environment,” said James Knightley at ING. However, minutes from September’s Federal Open Market Committee meeting revealed policymakers remained divided over the slow pickup in inflation, raising doubts over the future path of interest rate hikes. An inflation index closely watched by the Fed - the core PCE price index - has been below the central bank’s medium-term target of 2 percent for more than five years. Trump said late last month he would make a choice “over the next two or three weeks” on who will lead U.S. monetary policy. He has met with four candidates, but his chief of staff said last week he was still some time away from making a decision. In July, Trump said he might decide to renominate Yellen for a new four-year term, or turn to Cohn. He met with Taylor on Wednesday to discuss the job. “Probably depends on what Trump has for breakfast that day,” said Scott Brown at Raymond James, when asked who the next chair would be. Jerome Powell likely will be the next Federal Reserve chairman, according to a slim majority of economists in a Reuters poll - but most of them said current Fed Chair Janet Yellen would be the best option.